How can cloud services be deployed without the need for maintaining underlying infrastructure resources, such as Web servers or virtual servers? When cloud services are deployed on a server or in a container, the underlying infrastructure may not be pre-configured for their deployment, leading to delays until the environment is set up to support the deployment. Cloud services can be equipped to be self-hosting by being packaged with the necessary components and configuration information so that upon deployment in a special serverless environment they are fully functional. 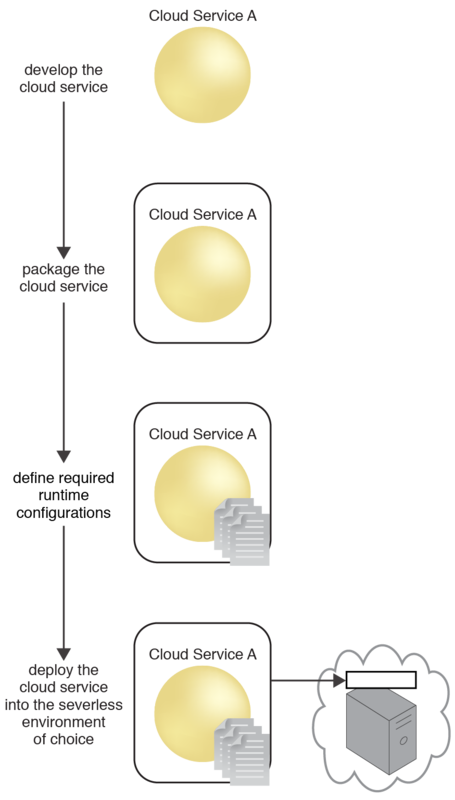 Cloud services are designed, coded and deployed alongside the descriptor in preparation for deployment in a serverless environment, which is typically available by cloud providers.